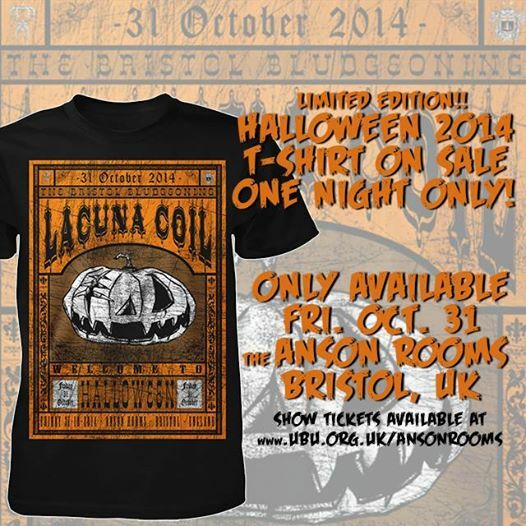 Lacuna Coil have announced that there will be a special limited edition Halloween T-Shirt – only available at the show at The Anson Rooms in Bristol, UK on the 31st October! The shirt, designed by Lacuna Coil bassist Marco Coti Zelati, will only be available in limited numbers so expect them to sell out FAST! You can book tickets for the show at See Tickets here. 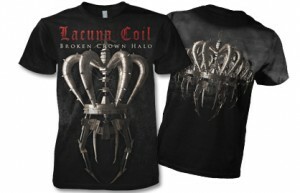 Lacuna Coil have released a new Broken Crown Halo shirt, which features both front and rear prints. The “All Over Crown Halo” T Shirt is only available for a limited time though so you need to grab one fast! You can view all the details, as well as order the T Shirt at the Showcase Lacuna Coil page here. 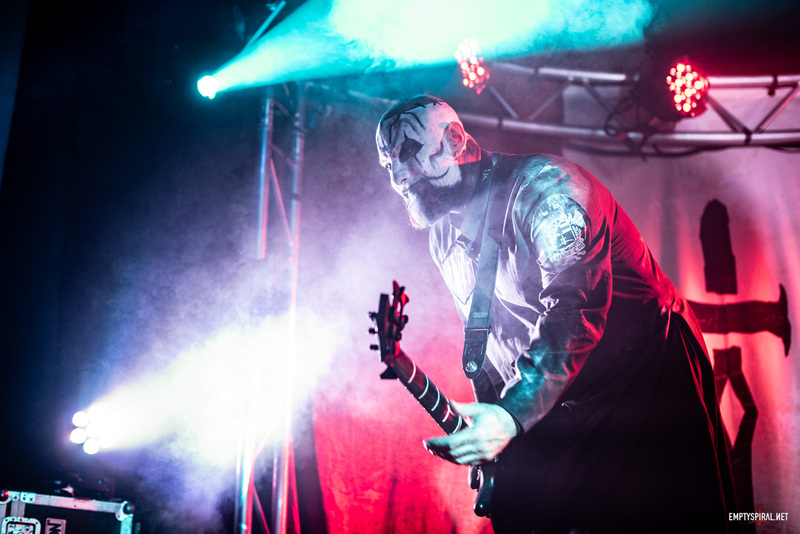 Lacuna Coil have added new merchandise to their official online store. The new merchandise now available includes t-shirts from the most recent US tour, as well as a Broken Crown Halo sew-one patch, girlie tops, and a men’s long sleeve top.